The assembly of our new storage facility project in Owerri, Imo State in Nigeria has been successfully completed. 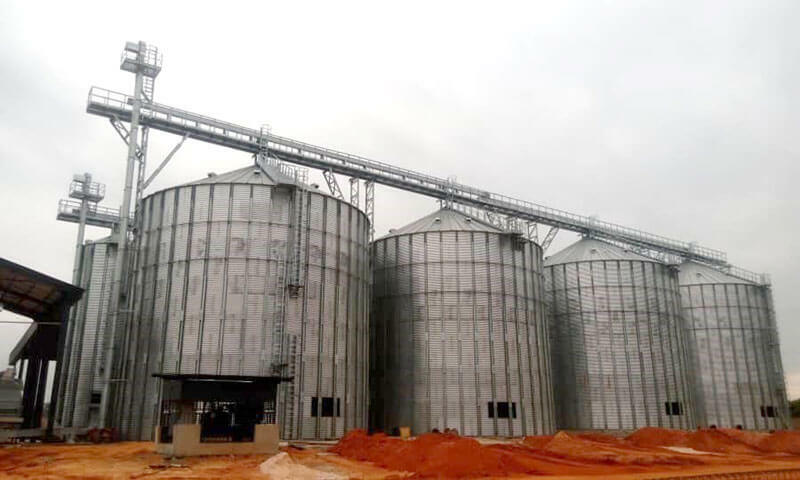 The silos are part of a feed mill factory project with a production capacity of 10 tons/hour, whose total storage capacity is 14.354 cubic meters. 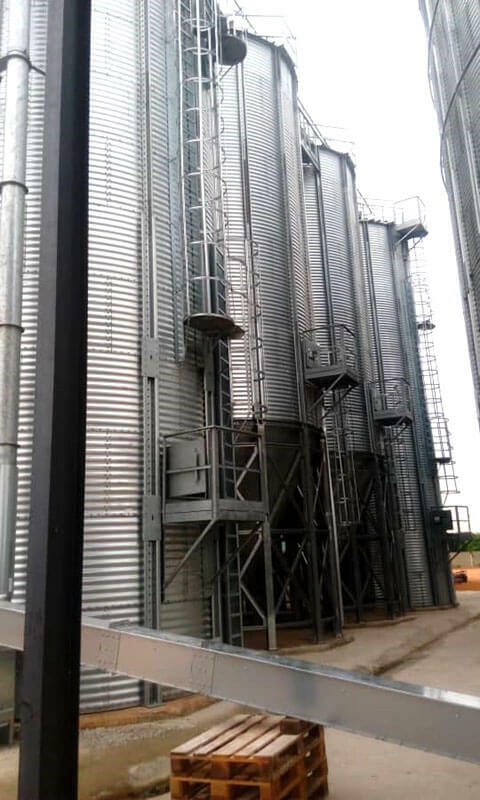 This new reference in Nigeria includes 4 flat bottom silos of 3,317 m3, 2 of 346 m3, 2 flat bottom silos of 199 m3 and all the necessary catwalks and supports.